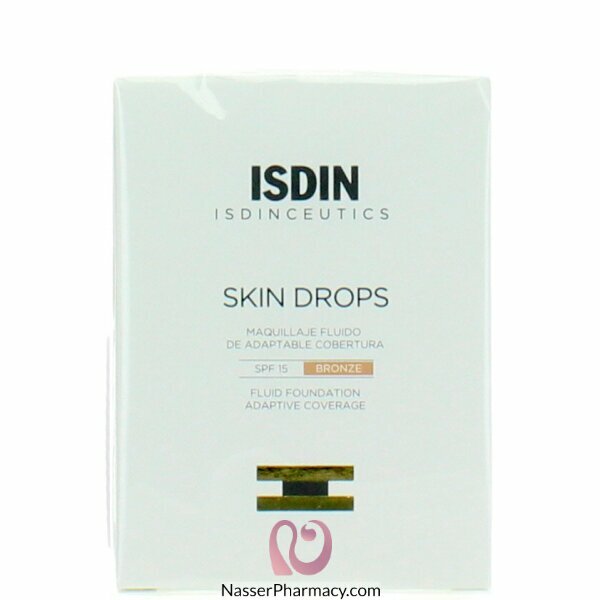 Skin drops bronze Drop formula make-up that covers imperfections, scars and tattoos perfectly. Benefits: Ultra-light texture that adapts to your coverage needs for a natural finish all day long, plus SPF 15. Long lasting: 12 hours on your skin. Apply between 1 and 3 drops for anything from a smoothing base without the sensation of wearing foundation to perfect cover. Shake before using. Put one drop in the palm of your hand. Apply the product uniformly with fingertips starting from the center and moving outwards. If necessary, and depending on your coverage needs, repeat all over face or only in specific areas. Can be used on other parts of the body. You can personalize your day cream by adding a few Skin Drops to create a tinted cream that adapts to your skin.